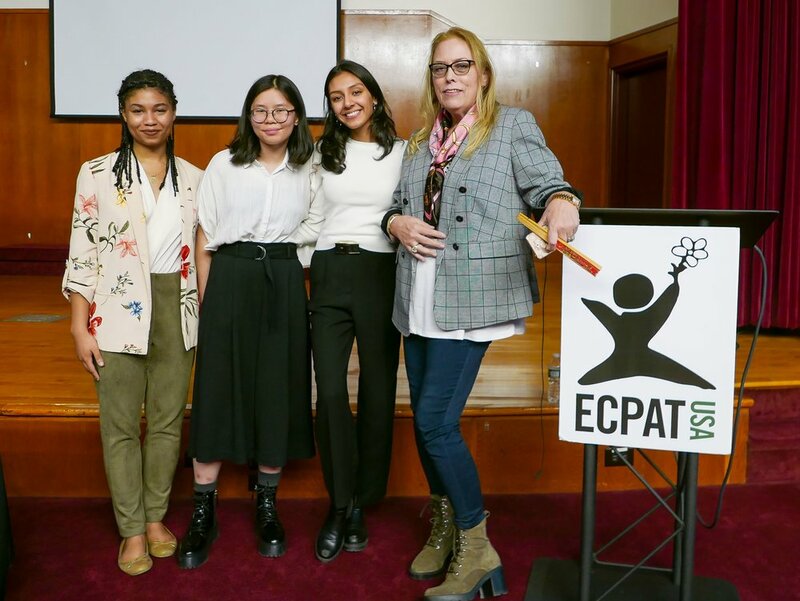 Alongside this year’s Commission on the Status of Women (CSW), ECPAT-USA presented a panel showcasing how girls can be empowered to become leaders and advocates against trafficking in their communities. Featuring Survivor Advocate Barbara Amaya and Youth leaders Kelly Fang and Ria Gaur, the event discussed what makes girls susceptible to traffickers and how we can combat these tactics by encouraging young girls to be confident and bold, to stand up for themselves and for those around them, and to participate in making sure that women are girls can live in a world free from the threat of sexual violence. “Trafficking isn’t just a women’s problem,” Ria said, noting the importance of including boys in conversations about recognizing and preventing trafficking. Through ECPAT-USA's Y-ACT Youth Program, students are empowered to be the foremost advocates in their communities through education. Click here to learn more about the program.